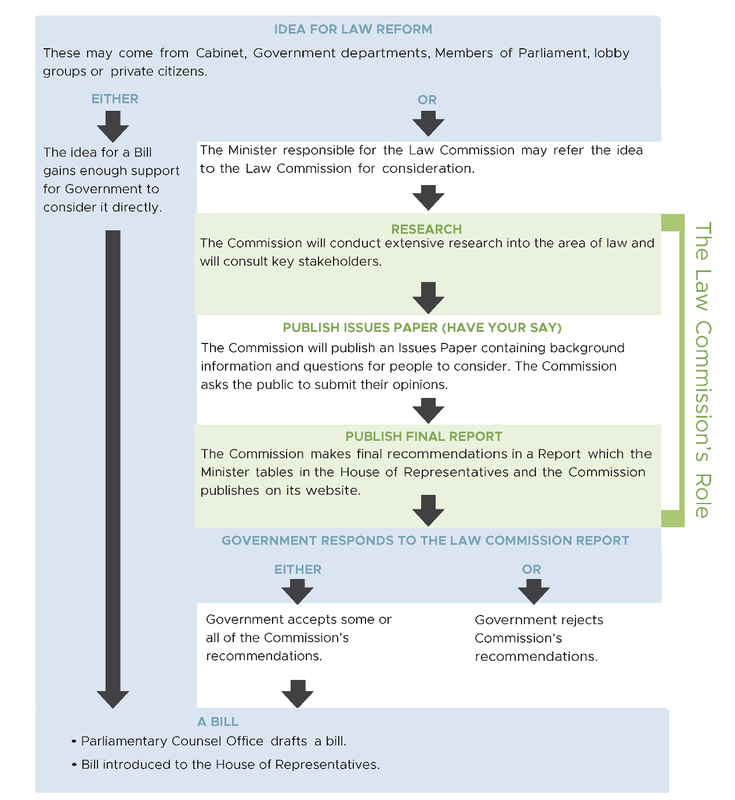 This flowchart shows the role the Law Commission plays in New Zealand law reform. The Law Commission is one part of the formal law reform process in New Zealand. Many other organisations engage in law reform too, reviewing the law, investigating improvements and promoting change.